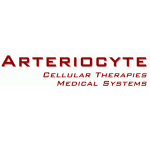 Arteriocyte is dedicated to develop and commercialize novel cell therapies and biomedical products for unmet research and clinical needs. Our NANEX™ Brand includes a family of products for Stem Cell Culture and Expansion. One of the major challenges in the stem cell industry is the limited number of stem cells in the adult human tissues, which greatly limited the research and clinical applications of stem cell technology. With limited number of cells from a single donor, it is difficult for researchers to plan a well designed large scale animal study, nor investigate the various doses effect which can be transferred into clinical settings later on. In addition, once outside of their natural environment (e.g. bone marrow), stem cells start differentiating and lose their 'stemness' with the current ex vivo culturing techniques. What is more, the cost associated with acquiring the human samples and harvesting the stem cells is very high. Our NANEX™ Stem Cell Expansion technology can be your one-stop solution to address all these challenges.